Dense populations. Tribal societies settle extensively across their ecosystems. State level societies support intensive populations. Omni 1:17, Ether 7:11. Urbanization. Tribal societies build hamlets and villages with occasional towns at particularly favorable sites such as the confluence of two rivers. State level societies build large, well-organized cities and city states. Mosiah 27:6, Helaman 7:22. Food surpluses. Tribal societies subsist on hunting, agriculture, and extractive industries. State level societies produce surplus food that gets re-distributed to urban centers. Alma 1:29, Helaman 6:12. Labor specialization. People in tribal societies tend to work in homogeneous occupations closely tied to nature. State level societies produce artisans Mosiah 11:10, lawyers Alma 10:15, merchants 3 Nephi 6:11, etc. who work in a wide variety of vocations. Centralized government. Tribal societies organize along kinship lines. State level societies develop formal ruling institutions Alma 11:2 where shared ideologies Mosiah 29:39 allow elites to control power Mosiah 29:2. Controlled trade. Tribal societies engage in long-distance trade of exotic goods. In state level societies, elites control trading networks to maximize their wealth Ether 10:22. Public works. Tribal societies erect stones and heap up dirt. State level societies build monumental architecture such as palaces Mosiah 11:9, pyramids Mosiah 11:12, temples Alma 16:3, roads 3 Nephi 6:8, markets Helaman 7:10, etc. Written records. Tribal societies communicate verbally and with ideograms. State level societies use writing systems Mosiah 28:11, develop widespread literacy Alma 46:19, and maintain record archives Jarom 1:14, Helaman 3:15. Symbolic art. Tribal societies produce naturalistic art. State level societies portray symbol complexes representing abstract or theological ideas 1 Nephi 11:7-11, Alma 32:28. Intellectual disciplines. Tribal societies orally transmit traditional wisdom. State level societies develop organized branches of knowledge such as biology Alma 46:40, physics Helaman 12:15, mathematics Alma 11:5-19, etc. Standing armies. Tribal societies muster attackers or defenders based on perceived vulnerabilities or threats. State level societies maintain a professional military apparatus Alma 2:13, Alma 62:43. Organized religion. Tribal societies have shamans, councils, and localized rituals. State level societies develop a priestly class overseeing religious institutions Mosiah 25:21-23, Alma 6:1. One word commonly associated with tribal societies is "tradition." One word commonly associated with state level societies is "command." Nephite writers often associated Lamanites with traditions as in Mosiah 1:5, Alma 9:16, and Helaman 15:4. Nephite writers often associated Nephites and deity with commands as in Alma 5:61, Helaman 14:9 and 3 Nephi 23:13. Another word commonly associated with tribal societies is "identity." A word commonly associated with state level societies is "institution." As they increase in complexity, tribes become chiefdoms and states become empires. The Book of Mormon unequivocally describes state level society, as well as the precise moment when complex Nephite government degenerated into tribalism 3 Nephi 7:2-4. Page 1 The tribal form is based on kinship. 3 Nephi 7:2. Page 17 External depredation causes societies to tribalize. 3 Nephi 7:6. Page 20 Evil influences spread quickly through tribal societies. 3 Nephi 7:7-8. Page 35 Tribes form alliances with other tribes. 3 Nephi 7:14. Page 42 Tribes severely divide and separate members from non-members. 3 Nephi 7:2. Page 43 Tribes have difficulty addressing problems of power. 3 Nephi 7:18. Page 46 Tribes appoint a chief. 3 Nephi 7:3. Page 61 Failed states degrade into tribes. 3 Nephi 7:2. Page 71 Tribes enforce very strict rules. 3 Nephi 7:14. Two images illustrate the stark difference between tribal and state level societies. The first comes from the remarkable Ohio History Connection Museum in Columbus. 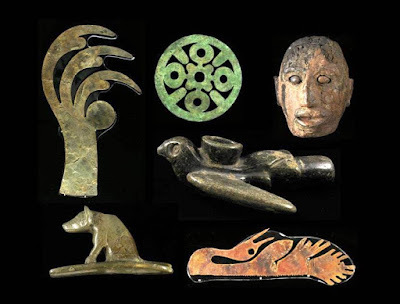 It is a collage of Hopewell artifacts assembled for a 2014 exhibition entitled "Top Ten Masterpieces of the Hopewell Culture." The artifacts portray a raptor's talons, bear, heron, bird in flight, human head, and wheel design. The wheel is symbolic. See the article "Four Sides, Four Quarters, and a Center." The other pieces are art drawn from nature. No qualified anthropologist on the planet would describe the society that created these objects as a state. This assemblage is diagnostically characteristic of tribalism. 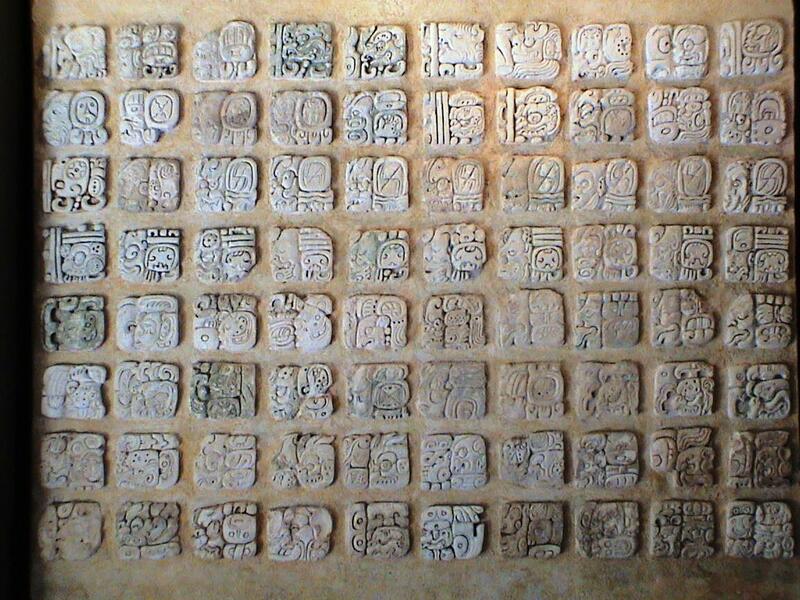 Now compare the Hopewell collection with an image from the Museo del Sitio at Palenque, Chiapas, Mexico. Anthropologists worldwide recognize that classic lowland Maya society achieved state level. State level society cannot be created out of whole cloth, not can it be explained away. A society either has it or it doesn't. State level societies leave unmistakable traces that scientists recognize. No North American culture known to science achieved state level society during Book of Mormon times. 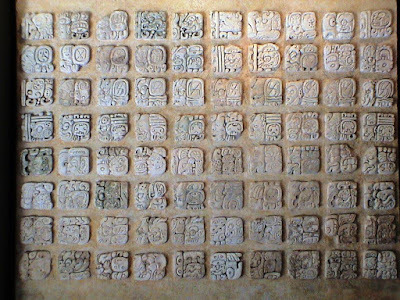 Several Mesoamerican cultures achieved state level societies during Book of Mormon times. John L. Sorenson succinctly summed up the situation: "Only one area in ancient America had cities and books: Mesoamerica." Mormon's Codex p. 21.